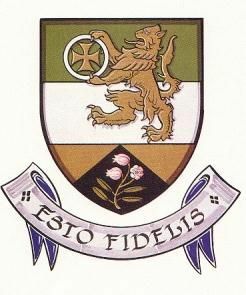 Plain of the Herbs wrote: @Wing Back, does Coolderry parish border county Laois to the east, and if it does, what club is on the Laois side - is it Camross? POTH....Up around Ballybritt church, the Coolderry boundary is very close to the Laois Border alright, but I'm pretty sure that Killa Villa and Kinnitty (Roscomroe which is in Kinnitty) cut us off from bordering Laois. I'm not an expert on the parish lines in Offaly let alone Laois, but the clubs which would be just over the border there would be either Camross or Ballaghmore (Kyle hurling club). Hi POTH, Coolderry is located in the parish of Kilcolman which does not actually share a border with Co. Laois. Regarding Ballaghmore (as also mentioned by Wing Back) if you drive on the N7 ( the old Dublin Limerick road) from Borris-in-Ossory to Roscrea over a matter of a mile or so near Ballaghmore you will travel from Laois into Offaly and then into Tipperary. Attended the Ballyboden Clonkill game last night. I have to say I was really taken aback by Clonkill, who fought tooth and nail. To sum up, Clonkill should have won the game in normal time. Missed some very scorable frees and conceded an awful amount to Paul Ryan (one or 2 were dubious calls, but most were hard to argue with) , who was in exceptional form from placed balls slotting over 15 in all. Clonkill gifted Ballyboden a goal in the 1st half as well with a slippy ball and handling errors. Clonkill ran out of steam in the 2nd half of stoppage time with Ballyboden bringing back on some of their subs, they had originally taken off. The most striking statistic was that Ballyboden didn't score from play in the 2nd half of normal time until the match was in injury time. Ballyboden still looked dangerous in many sectors all the same, with scores likely only for Clonkill to foul. Keaney being a real thorn in the side with his ball gathering and distribution. I was surprised to see Niall Ryan be taken off as he looked very dangerous, however he came back on in ET. Like Coolderry, A number of the same stalwarts that played against Coolderry in 2011 are still there playing, although Keaney was a notable absentee that day. I also noted Malachy Travers coming on......His former club before transferring to Ballyboden was Naomh Eanna in Wexford who take on Ballyhale in the other side of the draw. Hopefully Coolderry can help him avoid any possible conflict of interests. Clonkill put in an incredibly brave performance in the context of the awful tragedy their community has suffered. Your heart would have to go out to them. Why the game was fixed for last night is really shocking. Pretty disgraceful that the GAA were worried about fixtures and having to get that game played. Yes I am sure the club had to agree to it which they did, but in my opinion it should not of been something they had to make a decision on. Give the people a bit of space. Its only a game of hurling. A funeral earlier that day and to travel to play a big game then that night. Thanks, EiC. I can see where Roscomroe (Kinnitty) borders Roscrea (Killavilla) now. One of the great things about sites like this is the exchange of such information. A part of the county I've never been to, I must admit. I must sort that some fine Sunday next summer. Pardon me for my lack of knowledge on this, but where does/did Ballyskenagh come into this? Are they in Roscrea parish like Killavilla? I know that the club have a pitch on the road from Shinrone to Roscrea, beside a soccer club called Killavilla FC, I think. I presumed that this was Killavilla. I then typed in Killavilla GAA, I think, just to get an idea of where Killavilla was. It dropped down on the other side of Roscrea. I’m very confused. Could someone please point me in the right direction, as by reading this you’ll have found out by now that I have no clue as to which is which. Apologies for sidetracking this a bit. Similarly, apologies if I confuse you with my own lack of knowledge on this. Ballyskenagh's GAA pitch is indeed on the Shinrone to Roscrea road, quite near to the entrance to the Monastery. Killavilla's GAA pitch is on the old N7 on the Dublin side of Roscrea, on your right hand side as you drive towards Dublin. It is in that area described by Exiled in Connacht earlier this week where about a mile of that stretch of the old N7 is in county Offaly. Killavilla United FC had a pitch almost across the road from Killavilla GAA. Something tells me the soccer pitch isn't there any more though? Asa matter of interest, which pitch do they use, or do they use both? To think that Ballyskenagh contested a senior final in the last 20 years and are now amalgamated playing glorified junior hurling, although perhaps they could be relegated as I think that they’re in a relegation playoff. Tis sad really. That map is very interesting but is not totally accurate in relation some Clubs, which are based on the Catholic parishes and the map is of the Civil (Church of Ireland) parishes. Now some or most parishes, Civil & Catholic may be the same but others are not. For example Clonmacnoise Civil includes quite a large area which is in Lemonaghan Catholic,the townlands of Bloohhill, Closascra, Ballyduff . Most players from those townlands play/played with Doon & included Mick, Michael & Sean Ryan plus Kieran Claffey. I always thought that Aghancon was a part of Coolderry’s area, no? Was driving down that part of the county one day, and believe it or not, if I’m not mistaken, I came across an orange hall. It was around Leap castle if I remember correctly. Yes. Coolderry is Kilcolman, Ettagh and Aghancon. LooseCannon wrote: I always thought that Aghancon was a part of Coolderry’s area, no? Aghancon is a small Church of Ireland Community off the Clareen to Roscrea road, there is a Church and graveyard there. It is just before you come to Leap Castle. Wasn't Aghancon known as "Little Belfast" for a long time or did I imagine that? A bit about orangism in south Offaly. Back to the main topic. How will Coolderry fare v Ballyboden on Sunday? My thoughts are that Ballyboden could just shade it.